We are commanded to love. 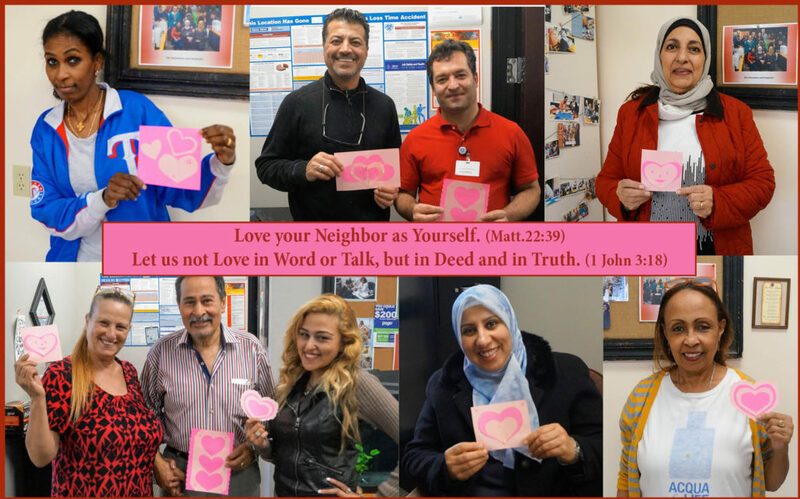 At Disciples of the Way’s Refugee Service Center we help ‘neighbors’ not ‘clients’. DOW seeks to reach out to people of all nations with the Love of Christ. God loved the whole the world, even the people who we think are too hard to love. The night before his death Jesus said “Love one another” and on the cross he repeatedly called on God to forgive those who were killing him. We were all sinners when God loved us and saved us. We did nothing to deserve his salvation. So we freely teach what we have been freely given; the Gospel for All. Jesus Christ offers full forgiveness for Everyone who believes and through Christ’s perfection, we are made Children of God. We love because God’s love has been poured into our hearts. True Love Shows Itself in Action (1 John 3:18). Consider joining with DOW to serve and minister with God’s love to people from all nations.